Donald Trump has probably benefited so far from giving long stemwinders of a speech on the hustings, saying enough outrageous things in each one to inflict on journalists information overload. He got away with a lot of awful statements because journalists only had room to focus on the top horrible thing he said each day. The format, moreover, made his fans and followers invisible. On Thursday, Trump in Rochester, NH, tried out a town hall format and took unfiltered oral questions from the audience. And that his audience was full of people who are not entirely well became quickly apparent. The corporate media focused more on the statements about Obama and Trump’s unwillingness to challenge them than on the demand for ethnic cleansing of millions of US citizens. They even twisted themselves in pretzels with their headlines about Trump “failing to challenge” the man. That allegation is an abject lie, since Trump very clearly reacted to the charge with approval by saying that “we need” this question. Trump didn’t fail to do anything. To fail is to attempt an endeavor and not succeed. Trump didn’t attempt. 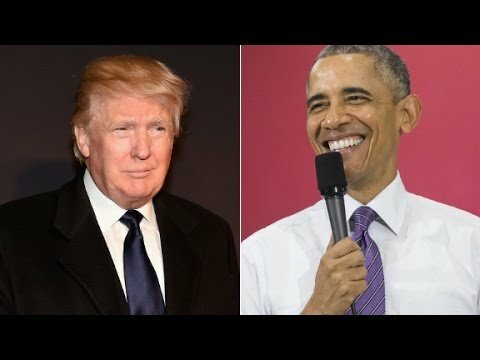 Trump approved of what the man said about Obama, obviously amused and excited, and said “we need this question.” Sane persons would have said the opposite. Trump’s campaign team lamely attempted to spin the shameful performance by saying that Trump didn’t hear the opening remarks on President Obama. But that allegation is refuted by the video clip itself. More important than the birther allegations is that Trump accepted the premise of the man that Muslim-Americans might be conducting terrorist training camps on US soil for the purpose of training to kill Americans, and that a campaign of ethnic cleansing against Americans of Muslim faith is required (“get rid of”). He promised to look into the issue. Fallows put his finger on the issue. 1. Trump declined to argue with the man, and, indeed, complimented him on asking a question that “we need.” This sentiment is wholly unlike the different choice that Sen. John McCain made in 2008 when he shut down a lady claiming that Obama is an “Arab” Muslim. 2. Trump actively joined the man in his dangerous paranoid illusion, promising for all the world like J. Edgar Hoover or Sen. Joseph McCarthy to launch an investigation “of that and other things”. And neither of these two responses would be acceptable if the man had named “Jews” or “Buddhists” or “African-Americans” as the object of his persecution complex. American citizens of Muslim faith have been responsible for almost no terrorism, and even if we threw in the non-citizen residents, are ‘way outpaced by white supremacists over the past century (white bigots lynched thousands of African Americans under Jim Crow, which is terrorism in my book). The corporate media has focused on Trump’s outrageous attacks on Mexican-American immigrants but seldom noted that he also warns against allowing Muslims in to the US. TRUMP: “Absolutely, yes. In fact I went a step further. I said I didn’t see Swedish people knocking down the World Trade Center.
. . . I mean I could have said, ‘Oh, absolutely not Bill [O’Reilly], there’s no Muslim problem, everything is wonderful, just forget about the World Trade Center.’ But you have to speak the truth. We’re so politically correct that this country is falling apart. What Trump means by a “Muslim problem” is that he believes them to be peculiarly violent. I have pointed out that if anything it is persons of Christian, European heritage who have been peculiarly violent in the past 150 years. In 1870-71 you have the war between Germany and France. Then you have the Paris Commune. in 1881 France takes Tunisia. In 1882 Britain militarily conquers Egypt. Belgium takes the Congo and polishes off half of its 16 million population over time. In 1898 the US conquers the Philippines and goes on to kill thousands to subdue it. Then in WW I Europeans help rub out most of the 11 million people killed in that war. Then there are revolutions and upheavals and the rise of Franco (yes, a Christian) and the Spanish Civil War, and Mussolini and the brutal repression of Libyans and the Germans using Namibians for machine gun target practice and then WW II and the deaths of 65 million, most of them at the hands of European Christians. Trump is just a rich white racialist bigot and enjoys bullying people he thinks inferior. And that seems to be what a significant proportion of Republicans want.